By the start of the third century the Roman Empire seemed to be at peace. The conquered races were assimilated into the Roman culture and gad seen their communities flourish under the Romans. Members of these tribes had taken been accepted into Roman life with many achieving high positions in the army and government. Even so, the Roman attitude to occupied provinces fell into two groups. One group looked upon the tribes as existing for the benefit of the military and government rulers. The other regarded them as potential enemies who would rise up under any dominant ruler. Either way, they were basically cannon fodder for use by the Romans. The third century saw northern tribes gather together under the name of the Caledonii. Indeed the North Sea and the English Channel were dangerous places as there were constant raids by sea going enemies. In particular, Germanic groups under the Franks and the Saxons were most active. These had also been joined by tribes from Ireland who were less well known, but just as dangerous. In Britain, the northern frontier remained solid, while others abroad were breached. While there was disorder in Europe and beyond, Britain enjoyed a time of stability. In the third century, savages in Gaul, Germany and the eastern frontiers were highly active, causing major concerns for Rome. Along with mutiny and civil wars, Britain was a peaceful environment in a time of increasing insurrection. It is impossible to cover this period of Roman history, primarily in Britain as the writings at this time are very scarce. It is common for periods of unrest to be scantly recorded. This may be just coincidence. The records may have been destroyed by those in authority who wanted to cover their failings. Or maybe aspects of history that were fundamentally unfavourable to the Romans were not recorded at all. As the lack of evidence is global throughout the Empire, the chances are the records were never made in the first place. The main source of confirmation for the reign of any Emperor is in the coinage issued at that time. This also is lacking, which leads us to assume that events happened so fast it was hard to keep track of events. Even so, those coins we do have must be read with caution, bevies we have so little in the forms of proof in other forms with which to compare them . We do know that there were a succession of Emperors. Some were replaced by political means, while others went by assassination. The main fact that is obvious is that Britain was in a period of economic stability and growth coupled with a relatively untroubled society. In 213, Caracalla left Britain to take command of the situation in Germany. The setting up of the Gallic Empire in 260 was most relevant to Britain as the island became part of this domain from 260 to 274, followed by a time of independence from 287 to 296. under the rule of Carausis and then Allectus. This time of stability enabled efforts towards consolidation and strengthening of the economy and defences. Hadrian's wall in particular was fortified and had extensive maintenance work carried out. Bewcastle was rebuilt and many turrets were abandoned. Some of the doors in the milecastles had decayed and fallen into disrepair. As these doors were rarely used, they were replaced by smaller gateways. Civilian settlements sprang up south of the wall. Roman soldiers were allowed to marry local women. The old tradition of supreme discipline under the reign of Pertinax had changed and Severus had told his sons on his deathbed that pleasing the troops was paramount. The reason for the confidence in building villages so close to the wall, was due to the better methods of patrolling the territory. More auxiliary units were formed, many of them consisting if tribe members who were now regarded as Roman citizens. By 253 Valerian and his son became joint Emperors of Rome and managed to bring a peace to the throne that had been missing for over two decades. Between 235 when the last of the Severan family of Emperors had been killed and 253, there had been no less than seventeen Emperors wearing the purple outfit of the overall leader. Although their reign managed to end the chaos of the previous years, it was only temporary and the power struggles would begin again, though not with the same ferocity as before. Maybe it was their style of leadership, but the skirmishes that had plagued the borders in Europe erupted into full scale invasions. Until now the professional leadership in the army had the effectiveness of their soldiers in spite of the power tussles that had occupied the Senate for so long. The foreign rulers outside the Empire had been watching events very closely and saw the dismal state of Rome as a chance to take advantage of the weaknesses now being displayed. They assumed that a preoccupied Senate would mean weak defences that they could move against more easily than before. In 258, in Germany, the Alamanni had broken through the Roman frontier. Their strength was such that they fought their way into Italy itself, where they were finally overcome in a battle with the army of Gallienus at Milan. Here was an important centre of administration, second only to Rome, and it had nearly been taken by an outside force. The effect on the spirit throughout Rome and the provinces was devastating. The Romans were fallible after all. As they had overpowered lands, so they in turn could be overpowered. The northern tribes had crossed paths with the Romans before. In 387 BC, the Celts of Germany had invaded Rome and sacked it. During the reign of Marcus Aurelis the armies north of the Danube had entered north east Italy. The revolts and internal battles had weakened Rome and the surrounding provinces before and they were the cause of the current problems. It is difficult to see why there should be unrest in the army. The soldiers had secure employment, a regular income and could look forward to retirement with a decent standard of living. He could also go on to become a solid citizen and his family could climb the social ladder, even if he had not managed to climb the ladder of rank while serving in the army. By the standards of the remainder of the Roman Empire, he was indeed privileged with a high standard of living. So any revolt within the army must have been down to a disagreement with the political situation, rather than discontent with his own lot. They had more to gain by going with the flow, than trying to change it's direction. 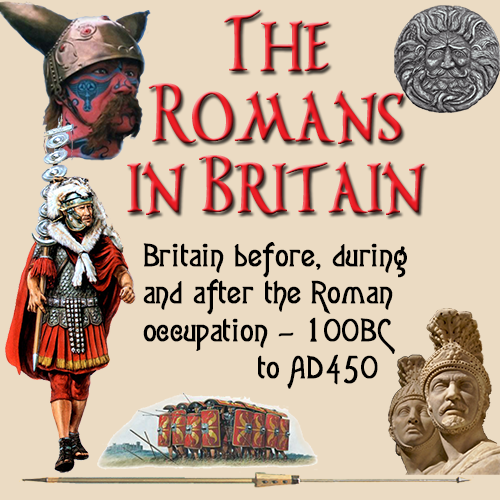 Even the non-Romans in the auxiliary units had taken Roman citizenship and were enjoying a much improved lifestyle compared to their long gone tribal days. Caracalla had granted citizenship to all free inhabitants in the empire which extended the opportunities for anyone to improve their and their families standard of life. The Roman absorption of provincials into the ranks of citizens may have given the new Romans a better life, but it also instilled in them the Roman disease. That is the ambition of the individual over the good of the state. By the middle of the third century military revolt, mainly for personal gain, was a regular event. The Roman Empire had to change if it was to survive, let alone expand. In 224, the Roman Empire suffered a humiliating defeat. The Sassanians took over the Parthian province and installed their own leaders, reviving the Persian Empire. The descendants of those who wiped out a legion under the control of Crassus in 53 BC. were also the instigators of this rebellion. This was just the start, with the new rulers taking an increasingly hostile attitude to Rome. In 253, Valerian took the throne and immediately took personal charge of the situation in the east, with his son, Gallienus to govern the remainder of the Empire. All this affected the situation in Britain. The north western Gallic provinces had to fund their own administration and upkeep as the subsidies from Rome were being diverted to the problems in distant foreign lands. Coupled with the unrest in the ranks caused by the movement of troops around the provinces, the situation was getting to a stage that the Roman Empire would not be able to ever recover from. Since the first century, soldiers had been drafted in from foreign lands to a province they regarded as dangerous and potentially unstable. These men had families and had established a rapport with the locals in the territories they had inhabited before their move. The relatively comfortable lifestyle they enjoyed was thrown in turmoil by the posting to a land where they knew contained areas where the natives were openly hostile to their presence. In Britain the attitude of the Romans had changed. They had made a good life and were content with their posting, so the chance of being sent back to a war where they knew their chances of living to retirement were slim did not go down very well. Besides, the Gallic empire was largely self governing and and cut many ties with Rome, so why should they fight someone else's war ? There was also the question of consolidating the position in Britain. People and funds were needed to build the walls around the towns. More and more towns were having walled surrounds of one sort or another. This was due to the way in which the Gallic settlements in Europe had been invaded so easily by outsiders. If these places had been walled in, their fall would have been a lot harder or may not have happened at all. The need for defences around towns within provinces was now more important than ever. By 268, the Roman Empire in general was in a more positive mood. With the tradition of selecting Emperors from two selected houses now abolished, the opportunity for ex-soldiers to rise to the position of Emperor had paid off. A succession of these exceptional leaders had restored order to the Empire. In 269 Aurelian carried on the work to the point where, in 274, he had recovered the land taken by the Germans, and brought the Gallic Empire under the control of Rome again. It has to be said that both these achievements had been through the use of force. Once again, Britain was under direct rule from Rome. Maybe the Romans were able to inject capital into Britain, as there followed a program of building to extend the province's towns. In Gloucestershire, the Great Witcombe villa was increased in size from 250. In Droitwich a significant development of a large urban house also started construction at the same time. There was a new confidence in the land, which was reflected in the expansion of properties and the construction of new developments throughout the island. In Europe there was still discord and warring with the Germans taking of many towns in the north east in 276. The Romans then retook these. The situation in Europe compared with the current state in Britain caused an influx of landowners across the channel. In northern Gaul, many villas were abandoned at this time, with the suspicion that these land barons were moving to a part of the Empire where their dwellings were less likely to be invaded. It was not just the taking of their properties in Gaul that drove them to Britain. The new immigrants had lost much of their possessions in the looting by the barbarians. Their families would have been murdered. There is no doubt the women in these families were defiled and then killed by these tribal philistines. The survivors wanted to live in a country where they did not have to be constantly on their guard against the Germanic forces. From archaeological evidence, the main building projects took place in the west country around Dorset and moreover, Bath. The latter had the densest collection of villas, none of which we know were built after 270. The countryside changed as well. The crop farmers turned to raising sheep and cattle. Small industries sprang up in these regions to provide goods and services to the new land owners. Regular markets started to appear as traders sold goods, pottery, vegetables grown on the continent. New communities sprang up in these new regions. The authorities could see a new phase in the history of the country developing. They new the immigrants had moved to escape the fighting and insecurity of life in Europe. To safeguard the people and this prosperity that was so vital to the country, they invested in new and expanded defences along the east and southeast coast. In Suffolk, Burgh Castle received a new fort, as did Richborough in Kent. These were not just traditional forts, there were built to the highest standards using the most modern designs and techniques. These were well founded as there is evidence of raids by savages along the south coast in the late third century. Remains of and writings about burnings in Sussex were likely to have been due to Burgundian and Vandal tribe members that had been taken as prisoners in Europe and transferred to Britain. Here they were ultimately integrated into Romanic British society and used in security activities. This would have been beneficial to the Romans, as they did not have any local ties and so could spy on the British natives as they did not have any loyalty to them. Any conspiracies would have been dealt with in a swift and total manner. Maybe these burnings were the Romans teaching a lesson to plotters against the state.